The scale of Metro Manila Subway is so great that it took almost 45 years for it to be finally constructed. It will cost at least $5 billion and it is the most expensive transportation project of the recent administration. Upon its completion, it will serve millions of Filipinos in the coming years. The plan for a subway in NCR isn't new, back in 1973 there are already proposals to build a subway due to the rapid growth of the economy at that time. But plans are scrapped due to cost overruns and economic crisis that started in the early 80s. Had this plan came into fruition we could've had a subway by 1988. The subway is the flagship of the Metro Manila Dream Plan. Its aim is to improve mass transport that could lead to more growth and mobility in the Philippine capital. Together with JICA, the project is slated to start by mid-2018 and end by 2025. 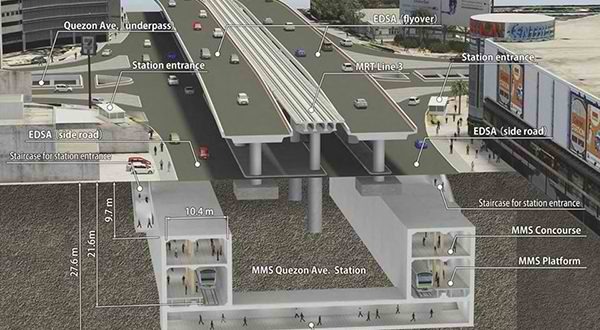 You can watch the detailed updates of the Metro Manila Subway above. For the comprehensive details of the project your read this PDF. What are your thoughts on this ambitious project?